Trump says Iran's economy is deteriorating, notes the ball is in their court if they want to meet with him. 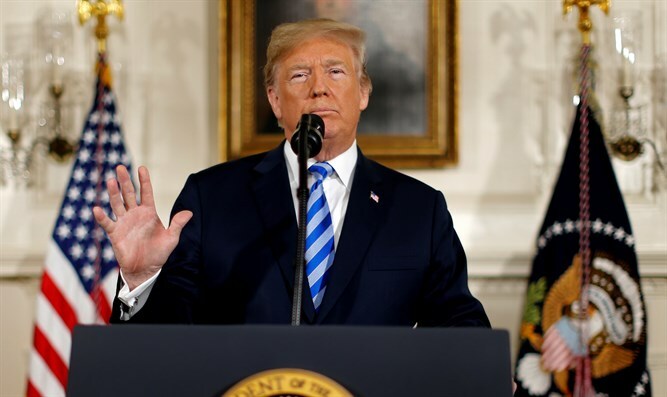 U.S. President Donald Trump said on Saturday night that the ball remains in Iran’s court in deciding whether to meet with him. “Iran, and its economy, is going very bad, and fast! I will meet, or not meet, it doesn’t matter - it is up to them!” he tweeted. Trump recently said he would be willing to meet Iranian President Hassan Rouhani without preconditions to discuss how to improve ties after he pulled the United States out of the 2015 deal. Iranian leaders, however, were quick to dismiss the gesture. An adviser to Rouhani said that the only way back to talks with the United States was for Washington to return to the nuclear deals which Trump exited in May. On Tuesday, Iran’s Interior Minister Abdul Razza Rakhmani Fazi rejected Trump’s call as well, insisting the U.S. is untrustworthy and therefore Iran cannot recognize it as a negotiating partner. Tensions have heightened between the U.S. and Iran in recent months, after Trump pulled out of the 2015 deal, under which sanctions on Iran were lifted in return for curbs to its nuclear program. Washington has since told countries they must stop buying Iranian oil from November 4 or face financial measures.